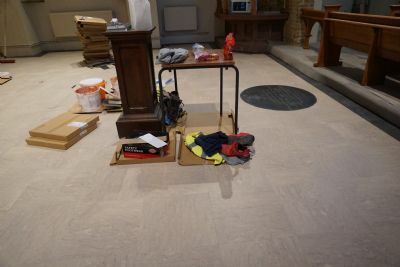 Replacing the flooring in the nave and entrance (foyer): The existing linoleum flooring is starting to break up and needs replacing, not least because the tiles contain very low levels of asbestos. 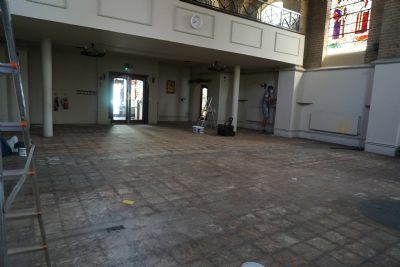 We will employ a specialist contractor to remove and safely dispose of the old flooring. 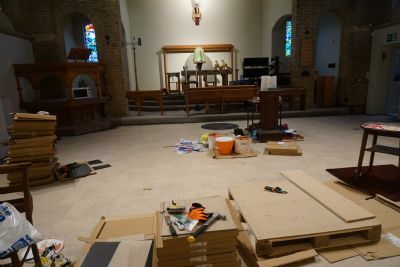 We considered reinstalling a wood, tiling or stone floor. 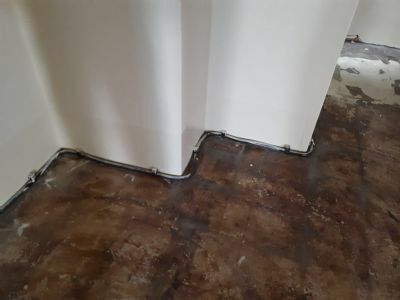 However, all had practical problems in installation, primarily raising the floor at the doorways which have minimum height clearance. 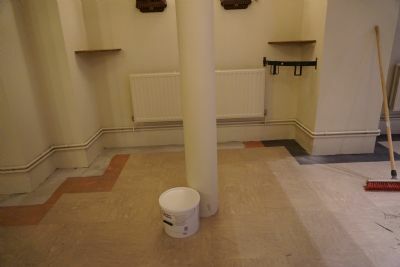 Through Ray Poulter, a parishioner who is an architect, we have been offered trade price for Amtico flooring. 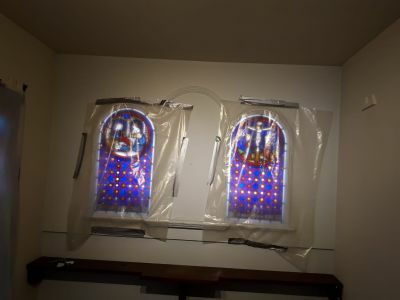 The team have looked at many samples and chosen a selection for the parishioners to see. 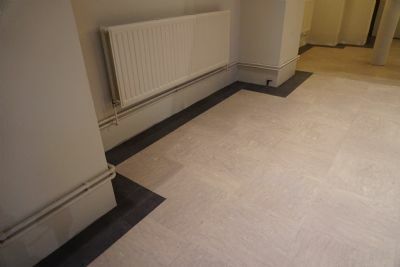 These are natural stone types that we think will complement the existing brick work, carpets and oak chairs. 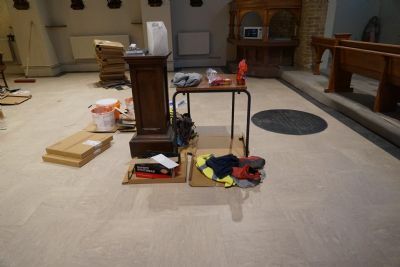 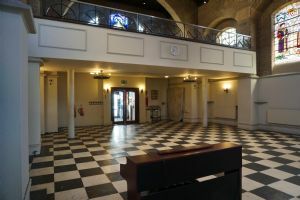 The floor in the main body of the church has been cleared of any furniture (from week commencing July 30th 2018), in preparation for removal of the old worn black and white vinyl tiles and replacement of the same with the new Amtico floor tiles. 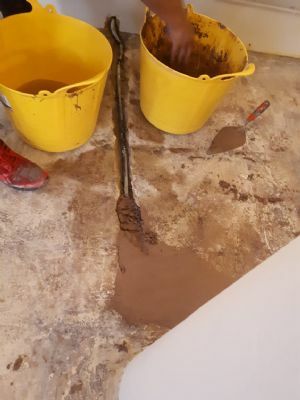 A specialist company was employed for this work, as there was a possibility of the old tiles containing a low level of asbestos. 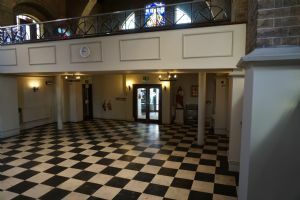 In addition to clearing the floor space exposed surfaces were covered to protect them from any dust once the tiles were removed. 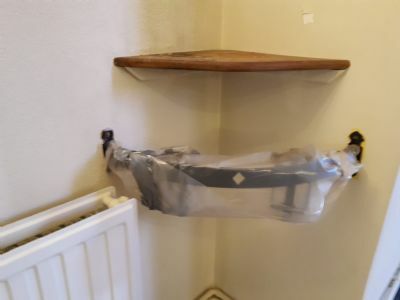 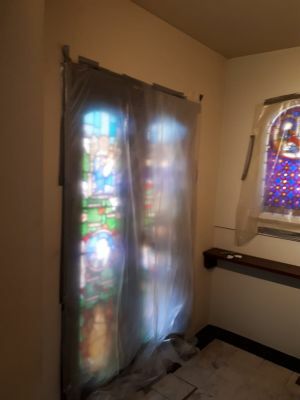 Care was taken by the company removing the old tiles to ensure surfaces were protected by dust covers. 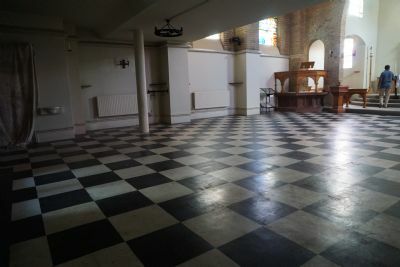 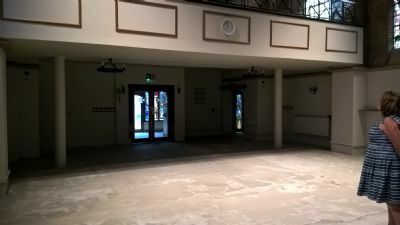 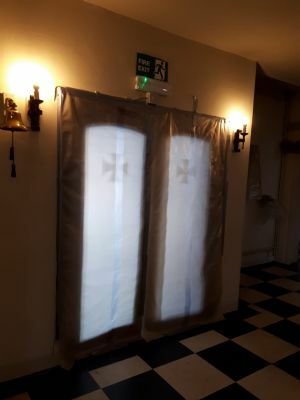 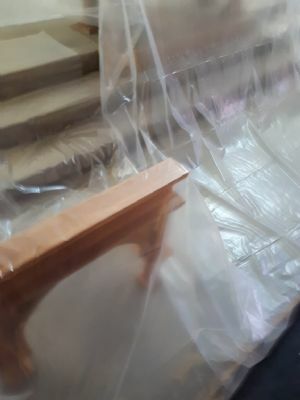 The first week in August 2018, the church was cleared of all furniture and the chairs, in preparation for removal of the old vinyl floor tiles, and to better enable the side walls of the church to be cleaned sanded down and repainted. 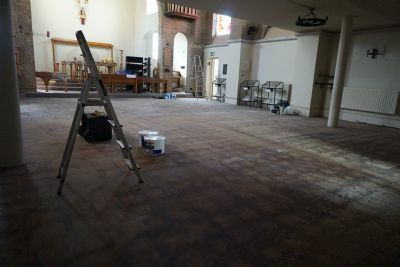 Once the painting and the various technical checks are completed the new floor will be laid. 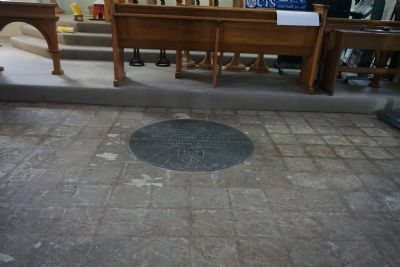 Work has continued apace the week commencing 6th August, 2018 the church floor was prepared with a liquid self levelling cement or screed to seal and level the old floor. 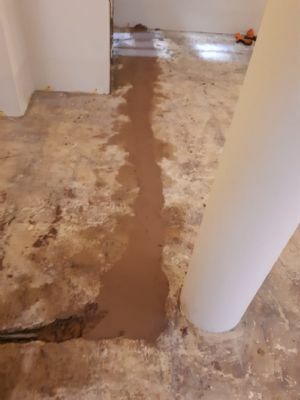 This stage required a number for days for the screed to dry and harden. 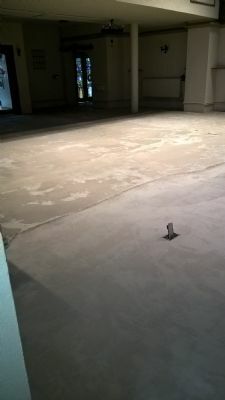 A member of the project team can be seen checking this stage of the work. 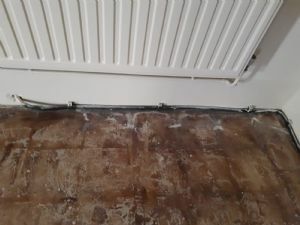 Before the screed was laid, exposed, extrouding and externally visible electrical power cables located at the rear of the church were chased into the floor and walls for a neater and safer option. 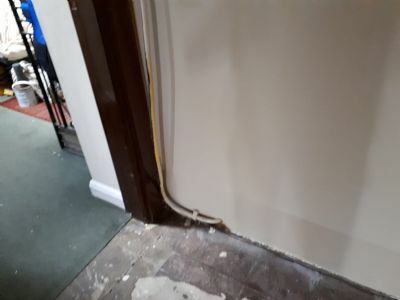 The exposed power cable was not just unsightly but posed a slight risk in that it was exposed and more easily potentially damaged. 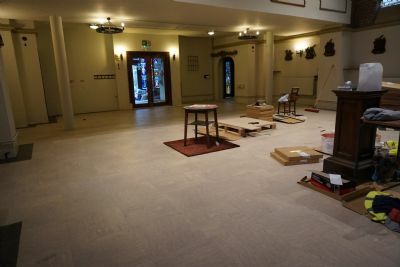 Once the screed was set and dry, the new floor (Amtico) floor tiles were laid into place this work commenced the week starting 13th August, 2018. 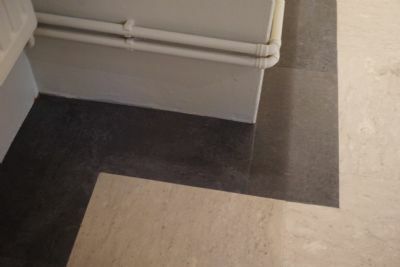 A border of darker floor tiles enhances the overall look. 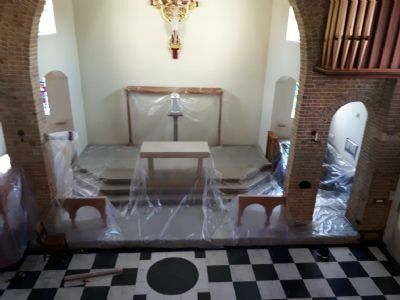 Once the chairs are returned back to the church and are reupholstered and refurbished, the renovated look will hopefully better help our worship and enhance our services and celebration of Mass.